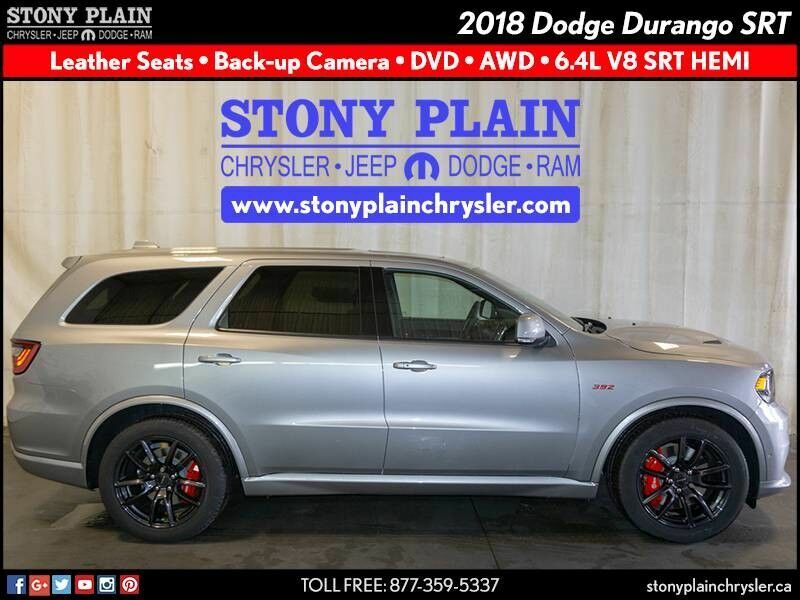 This outstanding example of a 2018 Dodge Durango SRT AWD SUV is offered by Stony Plain Chrysler. Want more room? Want more style? 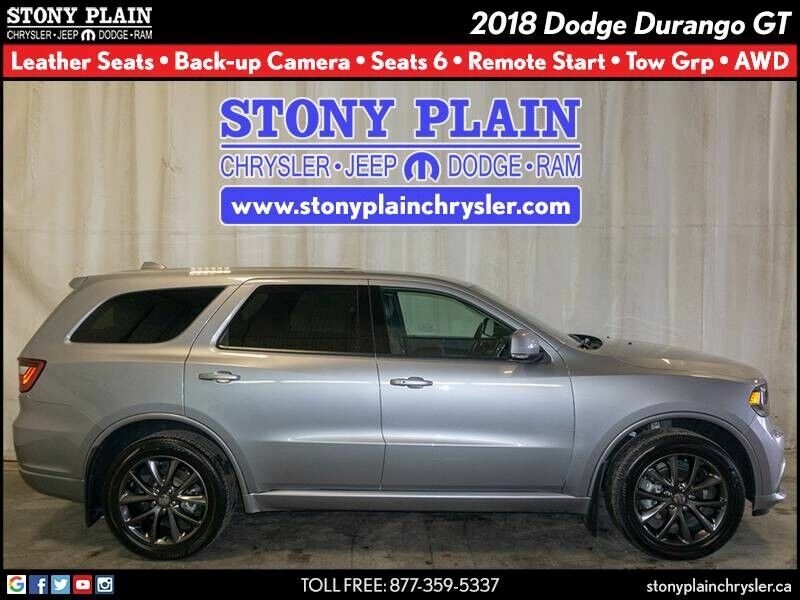 This Dodge Durango is the vehicle for you. Pull up in the vehicle and the valet will want to parked on the front row. This Dodge Durango is the vehicle others dream to own. Don't miss your chance to make it your new ride. Few vehicles can match the safety and comfort of this AWD Dodge Durango SRT. With enhanced performance, refined interior and exceptional fuel efficiency, this AWD Dodge is in a class of its own. The Dodge Durango SRT does not disappoint, and even comes with an Entertainment Package that will impress even the most apprehensive buyer. You'll definitely want to check out this Dodge. Intricately stitched leather and ergonomic design seats are among the details in which test drivers say that Dodge Durango is in a league of its own. Put away your phone and focus on the road, your new vehicle has navigation.